Have you ever imagined that - it is possible to break down single blogger post into different page or tab view? 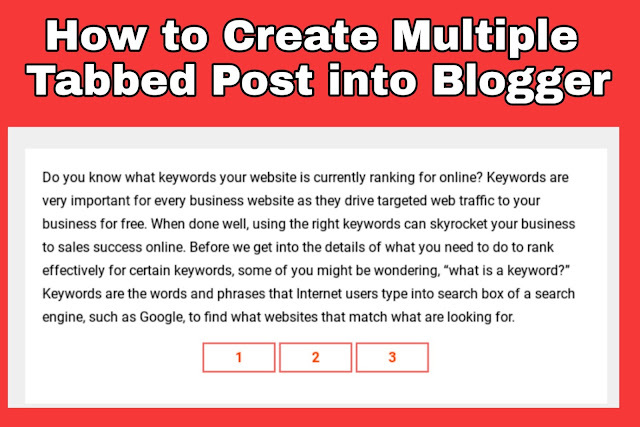 Well, it is very easy task to create multiple tabbed blogger post with the instruction given below. Copy past the css code given below and replace First Tabbed Content, Second Tabbed Content and Third Tabbed Content with your post. After finishing the task hit Publish. You will get your content into tabbed view. Do you know what keywords your website is currently ranking for online? Keywords are very important for every business website as they drive targeted web traffic to your business for free. When done well, using the right keywords can skyrocket your business to sales success online. Before we get into the details of what you need to do to rank effectively for certain keywords, some of you might be wondering, “what is a keyword?” Keywords are the words and phrases that Internet users type into search box of a search engine, such as Google, to find what websites that match what are looking for. Some keywords get hundreds of thousands of unique searches a day while others get a couple of hundred. At the same time, some high trafficked keywords are very competitive online because many businesses are trying to get referrals and traffic from users when they search for those keywords while others are not. In choosing a keyword for your business, it is very important to put some time and thought into researching keywords. There are some good free tools online such as the Google Keyword Research Tool and Wordtracker that can help get you started in researching keywords relevant to your business. These tools can be very useful for getting insights about how many users are searching for a given keyword and how much competition there is for the keyword online. This can also give you a realistic sense of what keywords you should be using on your website and how effective they will be in marketing your site online. If you need help feel free to contact us or leave the comment. Learn how to split and break down single blogger post into different page or tab view. 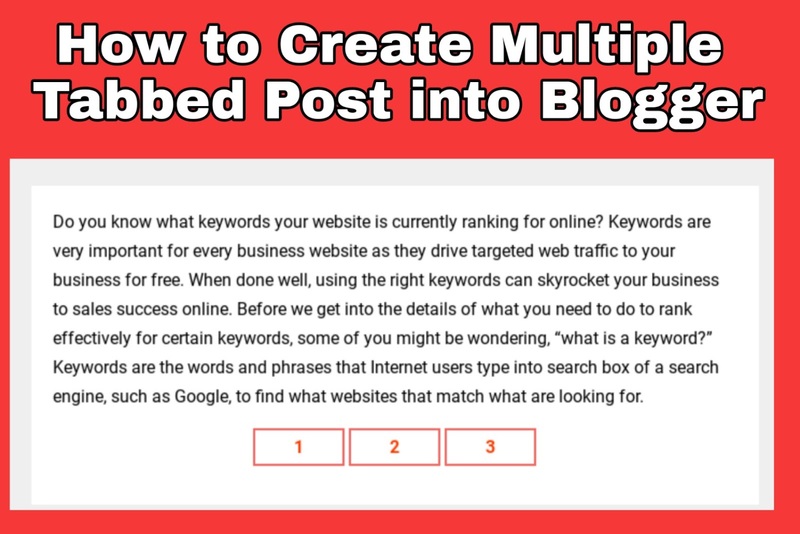 I will explain about creating multiple tabbed blogger post in this topic.